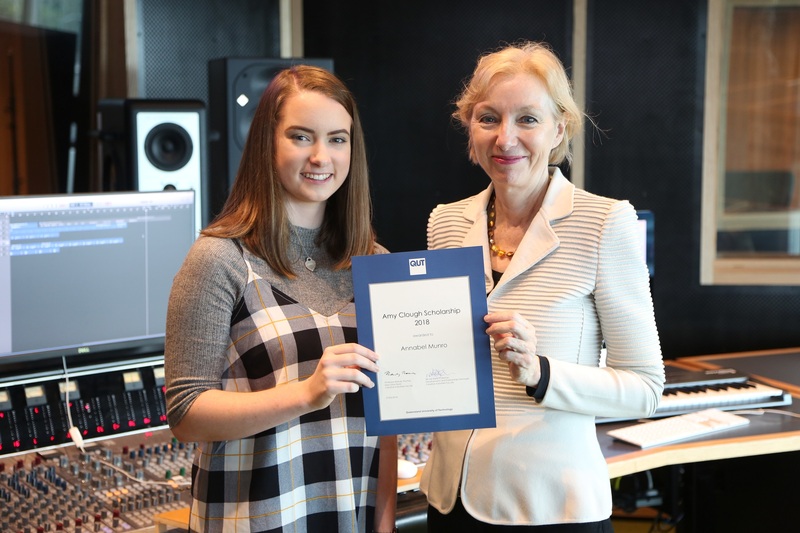 An 18 year-old QUT music student from Taigum has been awarded the 2018 QUT Amy Clough scholarship to cover her first year of creative industries tuition fees. The QUT Amy Clough Scholarship helps students undertaking studies in entertainment industries, journalism or music who have been personally affected by cancer. 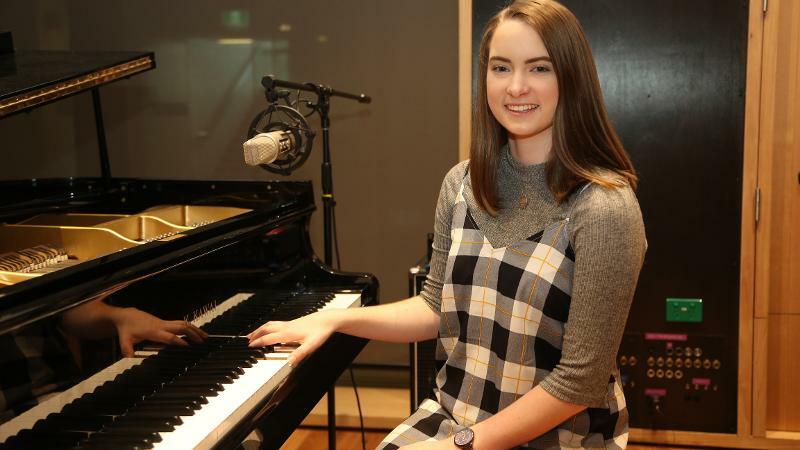 The 2018 recipient is former Clayfield College student Annabel Munro whose dream of scoring an internship with Sony Music will now become a reality. “Many members of my family have been diagnosed with cancer, including my mother, grandmother and two grandfathers,” said Ms Munro, a budding singer, composer and script-writer. “Watching people you love battling this disease through exhausting surgeries and treatments really brings home strong themes of death, love and grief. Fortunately my family members have responded well to treatment but the dark cloud of cancer is always hovering above us all. The scholarship was created in 2013 for QUT Creative Industries students affected by cancer. It was named in memory of passionate music fan and University of the Sunshine Coast student Amy Clough, who was diagnosed with Hodgkin's lymphoma at 16. She passed away in 2012 aged 22 and left behind a legacy of inspiration, a loving family and far-reaching friendships. A partnership between QUT, Sony Music Australia, Nova Entertainment, NewsCorp and the Brisbane Broncos, the scholarship covers first-year tuition fees for a student undertaking a Bachelor of Entertainment Industries, Journalism, or Music and internship opportunities in the subsequent years of their degree. Professor Mandy Thomas, Executive Dean of QUT's Faculty of Creative Industries, said it was a privilege to be involved in creating the scholarship. 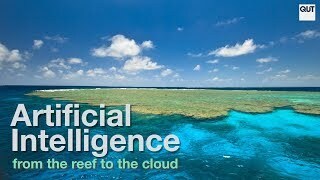 "QUT is honoured to be a part of the QUT Amy Clough Scholarship. Her loss is still deeply felt by all who knew and loved her but Amy’s legacy is a very special way in which to assist students whose lives have been personally affected by cancer," Professor Thomas said. “It gives me great pleasure to congratulate Annabel Munro on becoming the sixth recipient of the scholarship. A photo of Annabel with Professor Thomas is available for download on flickr.